Have you ever caught a cold that seemed to drag on forever? The kind of cold where your sniffles and coughs persist for weeks? The markets are experiencing just such a cold now. The third quarter has ended, and no one is sorry to see it go. In fact, it was the worst quarter for stocks since 2011, with both the Dow® and the S&P 500® down 10% or more at some point.1 This is what’s known as a “market correction”—a 10% drop from a recent peak. Like a cold, a correction is never pleasant. And like a cold, a correction can drag on for a long time. But that doesn’t mean it has to be scary, or that we have to overreact to it. If we try to understand it instead, we might be able to fight some of the symptoms along the way. Even though we can put a man on the moon or find water on Mars, we still don’t have a cure for the common cold. That’s because there are simply too many viruses that cause colds, each with different strains, mutations, and variations. The same is true of corrections. There’s simply no way to preventa correction from happening, because the root causes are too many, too varied, and too complex. Furthermore, market corrections can even be useful for investors, because they create opportunities to buy good companies at lower-than-normal prices. If you’re like most people, you know that catching a cold is practically inevitable, so it’s not a shock when you do. 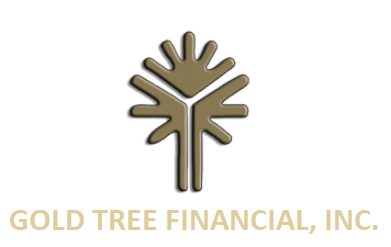 Here at Gold Tree Financial, we expect to see corrections from time to time, which we discuss with clients when developing a financial plan and asset allocation. With that said, it’s still good to know exactly what caused this particular correction, just as it’s good to know how and why we catch colds. After all, fear is in the unknown. So the more we know, the less we have to fear! Let’s take a brief look under the microscope at all three. For a long time, China’s stock market was on an incredible hot streak. With the state-owned media urging them on, many people started pouring their money into stocks. The resulting growth was explosive but unsustainable. As the demand for stocks increased, so too did stock prices. That didn’t deter investors, who kept buying as long as stocks looked like they would keep going up. Meanwhile, the overall Chinese economy had actually been slowing down, and, despite its size, was in fact relatively weak in terms of growth. Many sectors of the Chinese economy, like construction and manufacturing, had been financed by cheap credit through the nation’s central bank rather than by demand. Debt skyrocketed, and when those sectors (especially manufacturing) inevitably slowed down, investors awoke to the fact that their nation’s economy wasn’t an effective prop for their nation’s markets. This sudden loss in confidence led to a sharp drop in their stock market. This happened in June, and since then, both the Chinese market and the Chinese economy have been on shaky ground. Why does this affect us? Well, just as the common cold is contagious, so too is economic sickness. In finance, contagion is “the likelihood that significant economic changes in one country will spread to other countries.”2 This happens because the global economy is so interconnected. If China suffers, businesses and countries that depend on China for their own livelihood will suffer as well. For that reason, a large part of the recent market volatility stems from the fear that China’s woes will eventually spread to our own shores. You’ve seen it at the pump: oil is much cheaper than it was a year ago. That’s a good thing for consumers! But it’s a bad thing for the energy industry, which in turn impacts the markets. The reason oil prices have fallen goes back to your Economics 101 class: supply and demand. To put it simply, there’s just too much supply and not enough demand. The United States, Canada, West Africa, Russia, and the Middle East all produce a tremendous amount of oil. At the same time, many of the countries that would normally buy oil are experiencing their own hardships, meaning they have less money to buy it. And as we learned in Economics 101, when the supply of something is greater than the demand, prices fall. Geopolitics might also play a role. For example, take Saudi Arabia, the most influential member of OPEC, the Organization of Petroleum Exporting Countries. Saudi Arabia has refused to cut oil production despite the fact that the world’s supply far outpaces the demand for it. Why? Some analysts think it’s because if oil prices were to rise, it would only benefit Saudi Arabia’s main competitors, especially Russia and Iran, who all need higher prices to turn a profit. Saudi Arabia, on the other hand, can survive on lower oil prices because of their massive cash reserves, and because extracting oil is far less costly for them. This means that lower oil prices harm their competitors while leaving them unscathed, allowing them to dominate more of the market. Why are oil prices behind the current volatility? Because falling oil prices makes life harder for energy companies and companies closely aligned with the energy industry. The result is falling stock prices for those companies and the markets as a whole. For over six years, the Federal Reserve has played a game of limbo with interest rates. How low can they go? As it turns out, pretty low … almost to zero. The Fed’s reason for doing this is that lower interest rates make borrowing less costly. This means businesses and individuals can borrow and spend more, thereby pumping more money into the economy. The result? Economic growth. Keeping interest rates low, however, can be like using a crutch long after a broken leg has healed. It might keep you from re-injuring your leg, but it can also slow you down. Some experts feel the Fed should raise interest rates in order to prevent possible inflation and to encourage banks to do more with the money they are currently holding in reserve. Others feel that raising rates, especially if done too quickly, could derail our nation’s economic recovery, which is still seen as fragile. The Fed has made noises about raising rates for a long time, and whenever they do, the markets tend to panic. Such is the case here. It’s the fear and uncertainty over what the Fed will do—and what the consequences will be—that contributes to our current market volatility. So there you have it: three reasons for the market’s malaise. But what will happen next? When will the markets get better? It’s impossible to know, of course, just like it’s impossible to know exactly when you’ll get over a cold. That said, there are a few historical indications that point to better times just around the corner. Does that mean things will magically get better just because it’s October? Of course not. The markets don’t work like that. So instead of trying to predict the course of the common correction, let’s focus on what we can do to combat it. 1. Remember that investing isn’t a race, it’s not a game, and it’s not a sport, even if the media often covers it that way. Investing is a discipline. Proper investing, in fact, is a lot like taking care of your own health. It’s about making long-term decisions. It’s about not taking foolish risks. 2. Remember that just as you won’t assume your next cold will turn into pneumonia, we won’t assume this correction will turn into a full-blown bear market. Could it? Sure. But with a cold, you focus on getting rest and drinking fluids, not on worst-case scenarios. We’ll focus on staying committed to our allocation strategies, being patient, and remaining focused on your overall plan and objectives. 3. When it comes to our physical health, it’s alwaysa good idea to routinely examine our habits. Are we eating nutritiously? Are we getting enough exercise? Are we going in for regular check-ups? As long as the answer is “Yes,” you can feel pretty confident about your health. With your financial plan, we’ll do the same. Are we invested in good companies? Are we diversified? Are we protecting ourselves from unnecessary risk? As long as the answer is “Yes” (and I believe it is), you can feel confident about your financial health. So, the third quarter is over. The fourth is just beginning. There are a lot of reasons to believe the year will end on a high note. But even if it doesn’t, we’ll keep fighting the common correction the way we fight the common cold: by sticking to the basics, paying attention, and not overreacting. By doing that, we can make the symptoms a lot more bearable, by focusing on the things we can control. Of course, if you have any questions about the current volatility, how your portfolio is doing, or what the future may hold, please feel free to contact me. In the meantime, my team and I will keep a close eye on the markets. I may not be a doctor, but that doesn’t mean I can’t give your portfolio a physical!